Mr. Aitch and I have been enjoying our neighbors again. 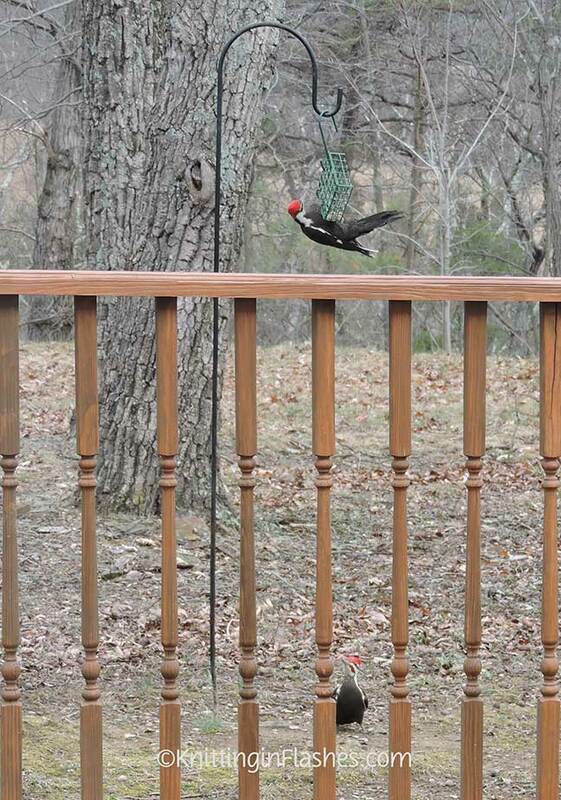 We love watching this feathered couple outside our window. 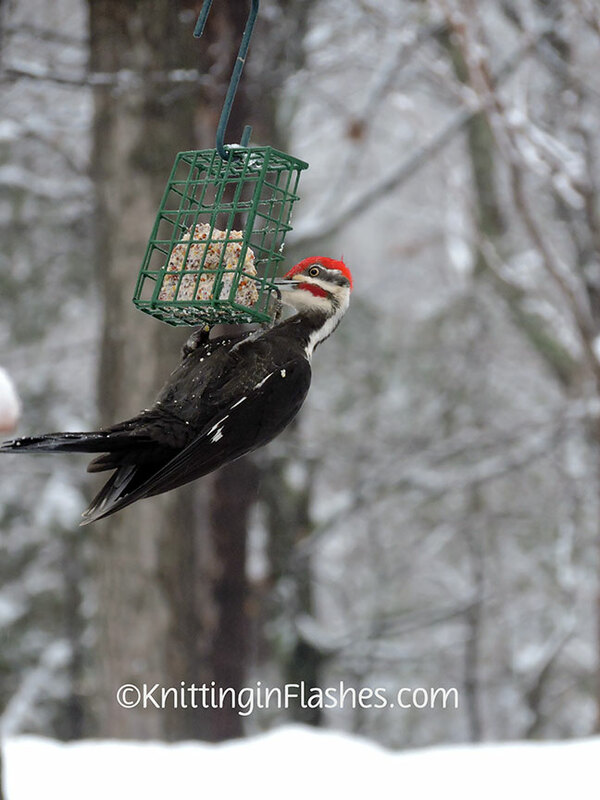 …while the male sits or hops on the ground picking up any seeds she happens to knock off the suet cake. 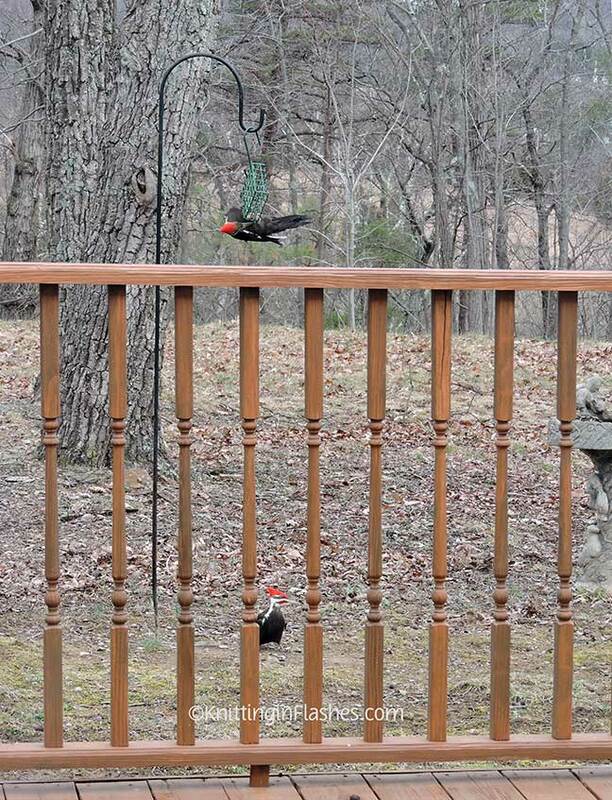 But sometimes he gets a chance at the feeder, too. 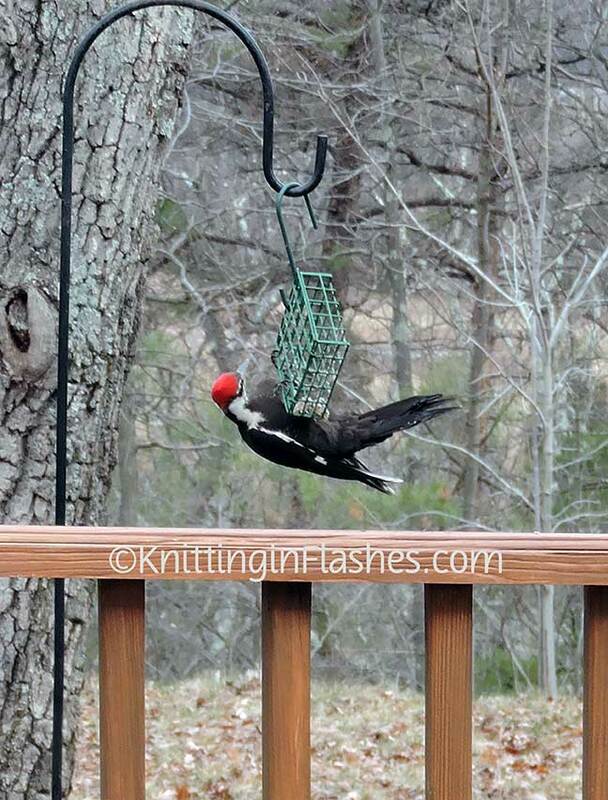 This entry was posted in garden, photography and tagged nature, photograph, photography, pileated wood peckers by Patti_is_knittinginflashes. Bookmark the permalink. 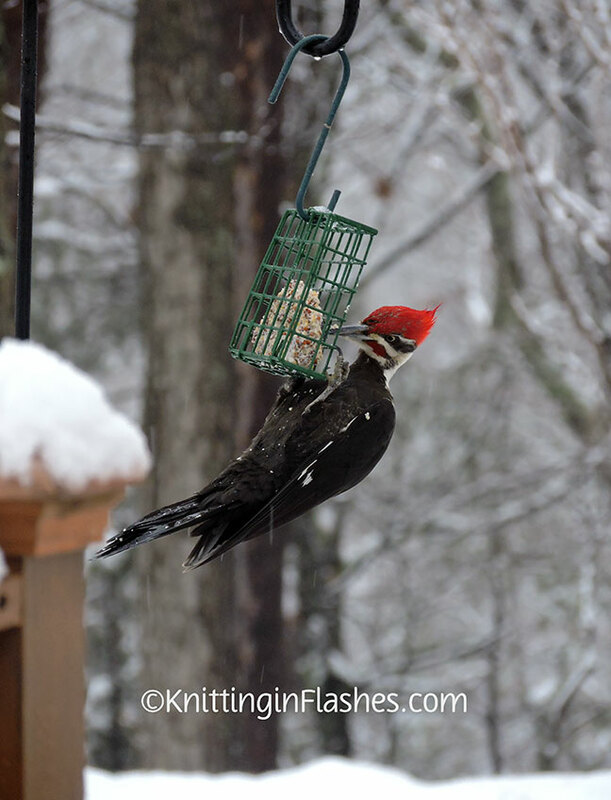 I need to fill my feeders! 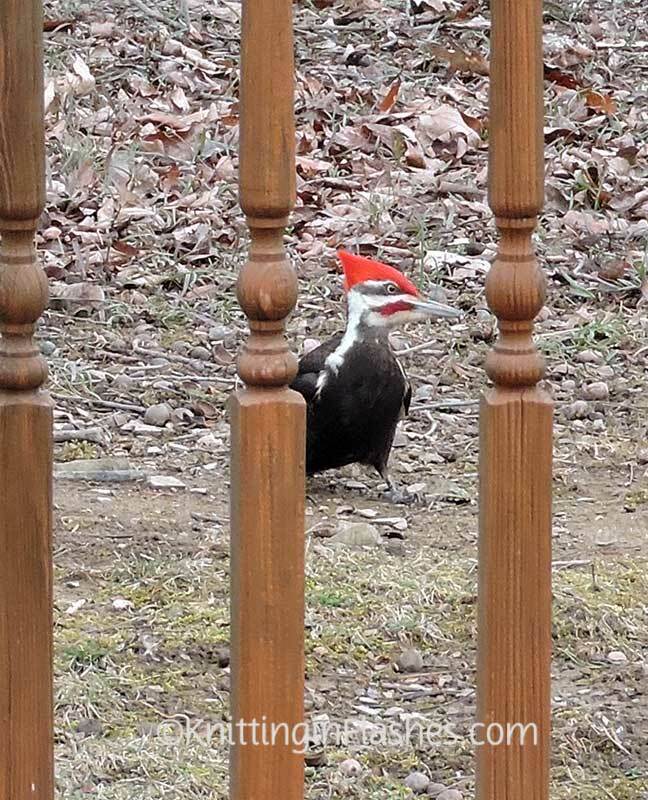 Love bird watching! Lovely! A not to shy pair! 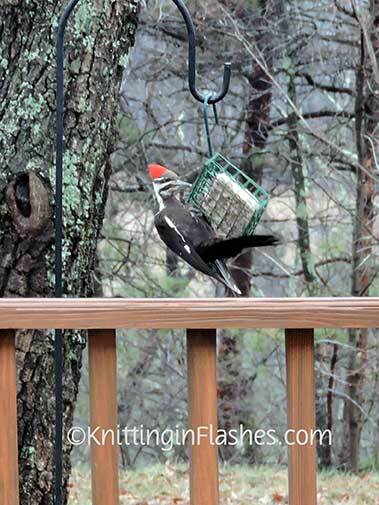 We have smaller woodpeckers at our suet feeders, the big fellows stay in the woods mostly. 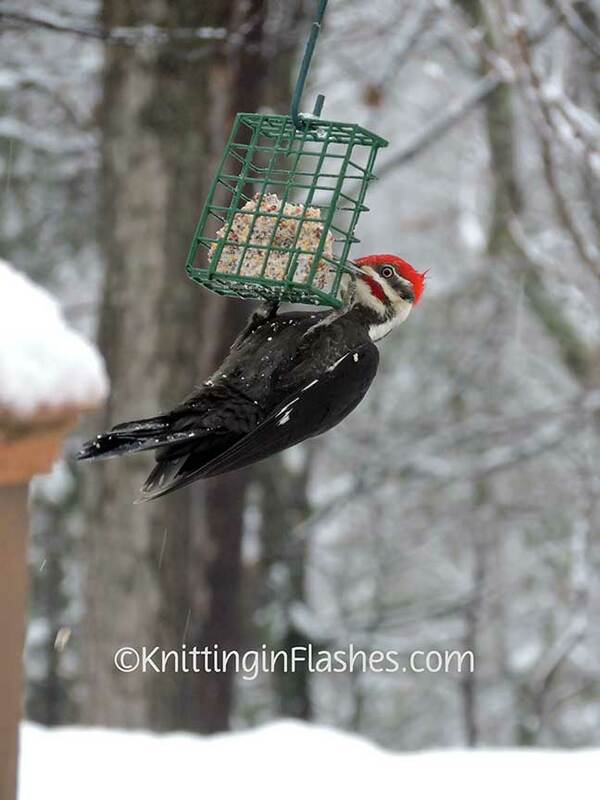 So fun to watch the birds!